The PCOS Challenge magazine is a valuable companion to the PCOS.tv and PCOSChallenge.com websites. You will receive information from leading experts on the best diet, weight loss, infertility, and treatment solutions to manage Polycystic Ovary Syndrome. As an added bonus, you’ll get an exclusive look at new episodes of the PCOS Challenge cable television show. 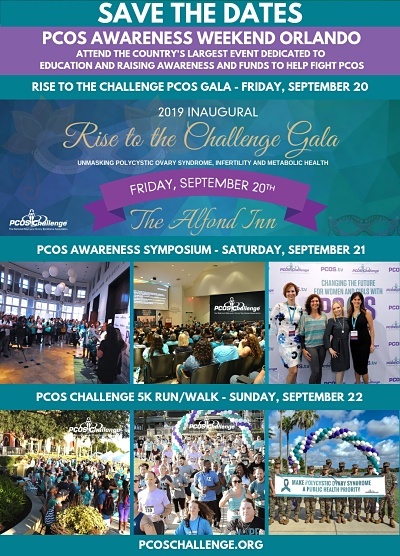 The PCOS Challenge mailing list is administered by the PCOS Challenge online marketing team and powered by MailChimp. Both PCOS Challenge, Inc. and MailChimp are committed to providing a user-friendly and spam-free experience. You are in complete control of your subscriptions. Only at your request will you receive PCOS Challenge Health & Wellness Newsletter, and at any time you may unsubscribe by following the instructions included in every issue. At the bottom of every e-mail message is a link that you can use to cancel your membership or to change your interests or the optional demographic information. If you need help unsubscribing, please email us. Neither PCOS Challenge, Inc. nor MailChimp will sell or rent your name or e-mail address to any third party. Therefore, you will receive no unsolicited e-mail as a result of subscribing to PCOS Challenge e-Newsletter. PCOS Challenge email communications are HTML-formatted with active links to PCOSChallenge.com, PCOS.tv, PCOSChallenge.net and PCOSChallenge.org. Subscribers with text-only e-mail can opt to receive text-only versions.